With about 2 weeks to go before I converge upon the Licensing International Expo 2010 in Las Vegas, I thought it would be a good time to review some License Agreement basics as a refresher for those readers experienced in the licensing industry or as a primer for those readers attending the Licensing Show for the first time. Whether you're a licensor or a licensee I hope you find the following information useful and invite you to contact me via telephone at: (310) 581-2868 or via email at: JSayson@saysonlaw.com, with any questions or comments or to learn more about the Law Offices of Sayson & Associates. An intellectual property owner can grant others the right to use that intellectual property or "IP" (such as a copyright, trademark, patent or trade secret) by means of a license. Like any substantive agreement, an intellectual property license should be in writing to memorialize the terms and conditions governing the use of the IP. The IP should be clearly and unambiguously described and identified with as much specificity as possible. It also helps to identify what assets embodying the IP such as styleguides, photos, artwork, etc. are being provided to the Licensee. The grant language of the License Agreement should clearly convey the right to use the IP in connection with the Licensed Article(s) (for a merchandising use) or the Licensed Promotion (for a promotional use). The Licensed Article(s) and the elements of the Licensed Promotion should be stated with specificity and without ambiguity. The License Agreement should clearly state the consideration (e.g. fixed payment, a royalty calculated as a percentage of sales, or a combination of the foregoing) for the license and the frequency of any payments. This is related to the consideration and will vary depending on the category of the Licensed Article(s) or the actual elements of the Licensed Promotion (e.g. premiums). The License Term should have a commencement date and an expiration date. Sometimes the expiration date may be subject to an extension if certain milestones are met. The License Agreement should clearly state the countries or geographic locations in which the Licensed Article(s) may be distributed or the Licensed Promotion may be executed. The License Agreement should state clearly whether or not the license is "exclusive" or "non-exclusive" as it may affect the ability of the Licensor and Licensee to use the IP. Generally, an exclusive license is more valuable than a non-exclusive license. The parties should clearly state the dates upon which the Licensed Article(s) or Licensed Promotion will be marketed to consumers (i.e. the Marketing Date) and then produced by the manufacturer so that goods will be available for purchase or distribution (i.e. the Shipping Date). Because a Licensor may want to control the perception of its IP and the retail outlets in which its Licensed Article(s) are available or where a Licensed Promotion is conducted, the License Agreement should set forth the channels of distribution. 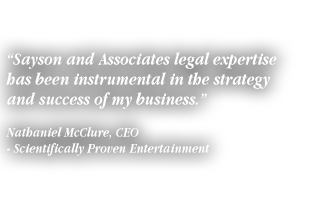 Since a Licensor's IP is a valuable asset, a Licensor should always have approval rights over a Licensee's use of the IP as embodied in any Licensed Article(s), Licensed Promotion elements or any related advertising. The License Agreement should set forth an approvals process and procedure for the parties to follow when seeking approvals. Finally, prior to distribution a Licensor should obtain samples of the Licensed Article(s) or Licensed Promotion elements for trademark, copyright and archival purposes. The License Agreement should require the Licensee to set forth how it calculates its royalty payments. A savvy Licensor can mine valuable business information from a Royalty Statement if it has the foresight to require a detailed Royalty Statement. The requirement for a Licensee to maintain its business records and the Licensor's right to audit the Licensee go hand in hand. In our current environment of heightened media scrutiny over consumer product safety, it's in both parties interest to conduct product safety testing of the Licensed Article(s) or Licensed Promotion elements to prevent and avoid unwanted surprises and bad publicity. In addition, the parties should consider how and where the Licensed Article(s) or Licensed Promotion elements will be manufactured in order to prevent and avoid unwanted surprises and bad publicity. Since licensing IP is passive in nature, a Licensor may wish to include safeguard provisions designed to preserve its IP rights. A reservation of rights generally reserves to the Licensor all rights not explicitly granted in the License Agreement thereby allowing the Licensor to utilize its asset outside the License Agreement and derive further benefits. The Representations and Warranties in a License Agreement are important provisions because they help establish the inherent value of the IP. A Representation is a statement of fact made by one party to induce another party to enter into a contract. A Warranty is a promise that a statement of fact is true. A Licensee generally seeks an extensive set of representations and warranties in connection with the IP because it wants assurances that its use of the IP will not lead to litigation. An indemnification is one party's obligation to repay costs, expenses and damages incurred by the other party. In a License Agreement, a Licensor may indemnify the Licensee against losses and damages suffered resulting from its failure to provide adequate rights in the IP or a breach of its representations and warranties; while conversely, a Licensee may indemnify the Licensor against losses and damages suffered resulting from its failure to use the IP in the manner specified under the terms of the License Agreement or a breach of its representations and warranties. The insurance requirement in a License Agreement provides assurances to the parties that their respective indemnification obligations have financial backing and will be met if necessary. A Termination Rights provision sets forth the terms and conditions that must occur in order for a party to terminate the License Agreement. A termination may occur automatically, immediately upon written notice or 7-30 days after written notice subject to a party's right to cure. The provision covering the Effect of Termination or Expiration generally covers the obligations of the parties after the License Agreement has been terminated or has expired. In the case of an early termination and natural expiration of the License Agreement, all rights in the IP will revert automatically to the Licensor and the Licensee may be required to destroy or return any IP source material. For natural expirations of the License Agreement, the Licensee may still be subject to certain ongoing obligations (e.g. collect and pay royalties) and retain limited rights in the IP that may still be exercised (e.g. sell-off rights). When a License Agreement expires naturally, a Licensee is usually granted Sell-Off Rights, which usually allow the Licensee a window of time to sell-off any remaining Licensed Article(s) or Licensed Promotion elements provided that the Licensee remains obligated to pay the Licensor royalties and adhere to the terms and conditions of the License Agreement during the sell-off period. A Remedies provision in a License Agreement may set forth a party's remedies (e.g. money damages or injunctive relief) or limit a party's remedies (e.g. it is common to limit a licensee's remedies to money damages only and no injunctive relief) in the event the other party breaches the License Agreement. Generally, an IP license may not be assigned or sublicensed without the prior written approval of the Licensor since the Licensor has a vested interest in controlling its IP and controlling the party with whom it conducts business. In the course of a Licensor-Licensee relationship there is a high degree of probability that confidential or proprietary information may be exchanged between the parties and thus a Confidentiality and Non-Disclosure provision allows such information to flow between the parties. Any Confidentiality and Non-Disclosure provision should define what information is considered confidential (and thus subject to the non-disclosure obligation), as well as set forth any exemptions. Each party should set forth the address for any written notice required under the License Agreement. Furthermore, the Licensor may wish to set forth payment information such as wire transfer instructions. The inclusion of any Dispute Resolution clause is a business decision of the Licensor designed to reduce litigation costs in the event of a dispute between the parties. Such a clause may designate mediation and/or arbitration as the sole or first method of resolving a dispute in lieu of litigation. A common clause used in conjunction with a Dispute Resolution clause is Limitation of Liability clause in which the parties agree that damages are limited solely to actual damages suffered and that no punitive or consequential damages shall be available to any prevailing party. The Governing Law clause is important to a Licensor since it generally will prefer to choose the law of the state in which it conducts business or where it is headquartered.